Following last week’s post about the function and importance of expansion tanks in thermal oil equipments, when working with high temperature fluids is also important to take account of thermal expansion coefficients of pipes. 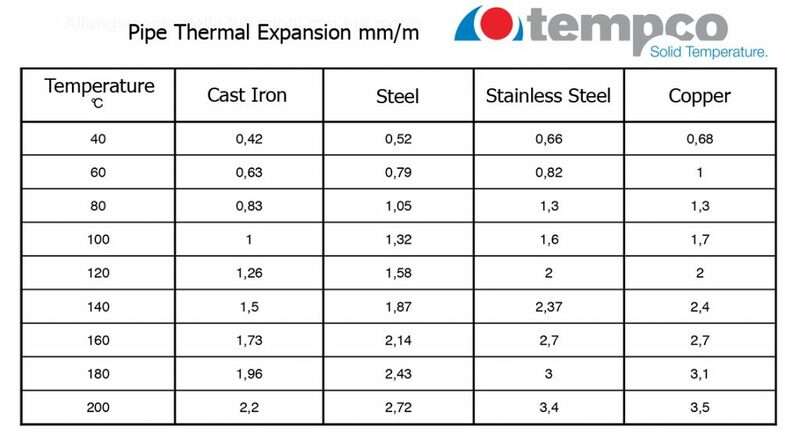 Here is a technical table reporting the values of thermal expansion of pipes for different metals, to be used during the design and engineering of heat exchangers connections. 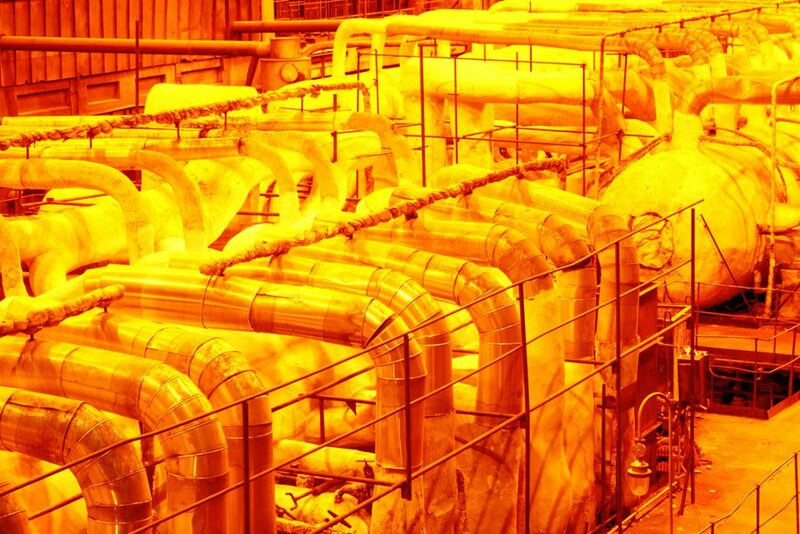 Employing thermal expansion joints can help compensate and absorb the dimensional variations on connection pipings, that can be important due to the high temperatures achieved by the diathermic oil in the plant.